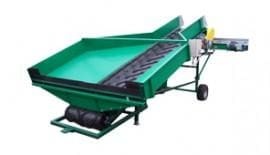 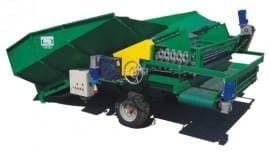 The machine is designed for dumping vegetables (especially potatos and onion) on piles. 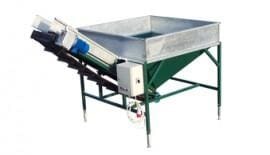 The machine is designed for vegetables dosing onto weighing and packing machines. 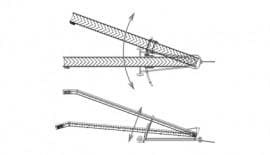 It can also use for other purposes, for e.g. 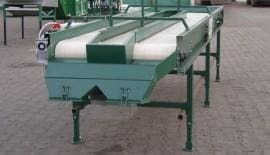 for passing waste products from roller tables to the boxes. 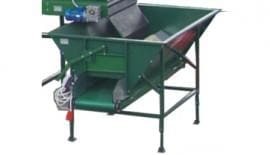 Machine takes vegetables from the bin tipper and doses it ( with stepless regulation onto line. 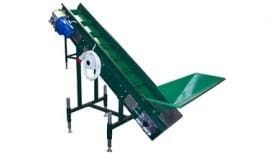 The web belt assures preseparation of soil and tiries. 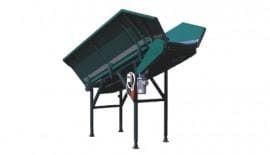 The machine is designed for unloading of back-lift trailors and bins. 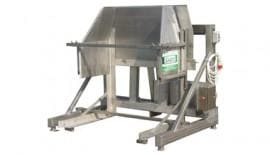 Stepless regulation of belts speed (frequency modulator) guarantees maximum effciency. 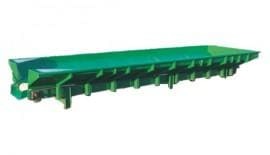 The rubber belt with special V-flaps.